Do you have unwanted hair? Sick of shaving, waxing, tweezing and hair removal creams? Let us erase these hair dramas with a flash! 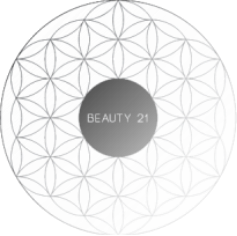 At Beauty 21 we have qualified Dermal Clinicians on board to help rid these hair and skin problems. With the new Ellipse SPT+ machine in salon, we have never been more excited to give you the best results in hair reduction and skin photo rejuvenation. Ellipse uses short, safe bursts of light emitted from a flash lamp to remove unwanted hair and or blemishes on all bay sites in minutes. 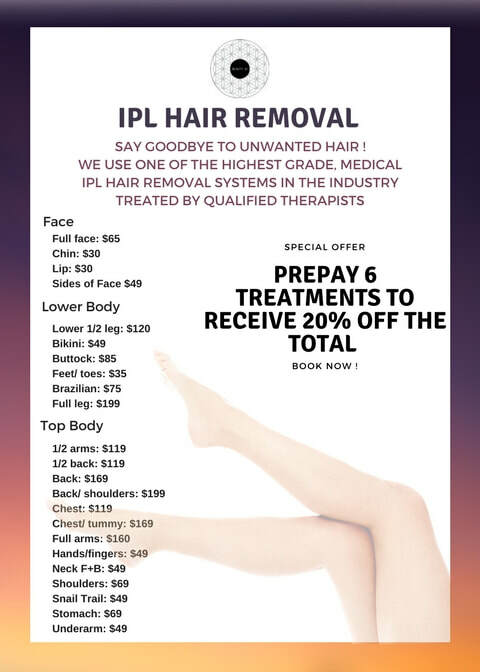 Intense Pulsed Light (IPL) is a modality of hair removal that will effectively give you results in reducing hair growth with a flash of light. Due to the range of wavelengths that an IPL can emit, it is able to treat a wider variety of hair colours and skin types. It is also able to treat some forms of skin conditions such as pigmentation, vascular lesions, fine lines and wrinkles and acne. Depending on the severity of the condition, IPL may aid in reducing any blemishes that may concern you. How does IPL work to reduce my hair growth? Your Clinician will guide the light from the flash lamp over the treatment area. Our unique Ellipse system carefully filters the light in two ways ensuring that only the correct amount of light energy characteristics (wavelengths) is allowed to reach your skin. Hair contains pigment in it which is known as melanin. Melanin is targeted by the emission and penetration of light energy which is then absorbed and converted to heat. The heat in the hair follows through to the follicle bulb effectively destroying and retarding the growth rendering it unable to produce a new hair. After a set number of treatments, a great percentage of hair growth is reduced. In due time, any growth that does eventuate will be much lighter in colour and finer in thickness. Hair growth grows according to a cycle of resting and growing phases. Follicles that are in the right stage of hair growth which is known as the Anagen stage (growing phase) will give great results. Clinical studies have shown that at least 3-6 treatments are required on a regular interval basis of 4- 8 weeks. This can change according to your treatment program, however your clinician will notify you on your next recommended treatment time. As this treatment requires pigment (melanin) for the absorption of light, the most efficient treatment is seen with dark hair. The ideal candidate is light skin and a distinction between the hair colour and skin makes the treatment easier. Most patients will be able to be treated once undergone consultation and approval from your clinician. Everyone has a different tolerance to pain threshold. No anaesthetics are used or required and most people describe the sensation as a warm rubber band snapping at the skin. There is no prolonged pain, and it is quick and easily forgotten. Like Hair removal, melanin is the target in treating hair. Depending on the skin condition and treatment required, Photo-rejevenatin targets haemoglobin, melanin for pigmentation and in some cases Porphyrin, produced by the P. Acne Bacteria for acneic skin types. Photo-rejuvenation stimulates collagen and elastic effectively plumping up sluggish skin types with fine lines and wrinkles. It can also reduce and fade pigmentation blemishes. Also a with an application of a serum, a successful treatment of acne can also be performed with great results following. Photo-rejuvenation is a renewal of old skin, stimulating cells in a controlled environment producing new. What qualifications should I look for when choosing a technician to perform your IPL/ Laser treatments? The price may be cheap or the coupon may look too good to be true! In most cases you're right. Do your research and ensure that your clinician/ technician or advanced therapist has all the qualifications necessary to operate an IPL or Laser system. You do not want to become a candidate of unwanted negative skin reactions. There are other forms of qualifications that are able to offer IPL/ Laser treatments but these are just a few to name. Please always do your research and assure yourself that your operator has the knowledge and experience required to do these treatments. Clinical trials documenting Ellipse's safety and effectiveness are carried out by leading doctors prior to the release of the product. The results of these tests are then published in respected, refereed medical journals. These scientific papers can be found on the Ellipse website at www.ellipse.org The settings used for your treatment will be based on the settings recommended by the clinician who is carrying out your treatment. More information is available in a consultation. Make a booking with one of our Dermal Clinicians to have a friendly chat about your concerns and we will always endeavour to meet your needs.